Local customers use coupon code "sonoma" at www.fullysilentpcs.com for 10% off of any purchase. The WaccoBB.net Business Directory provides a low-cost and effective way for you to get more clients and customers, Guaranteed! WaccoBB.net has been a trusted resource for years for our 10,000+ members to find local service providers and products. The Business Directory makes it easier than ever for our users to find your business's offerings and associated testimonials. Additionally, it provides ongoing visibility of your business through our widely read Daily Digest. Listings and reviews are automatically included in the Daily Digest on a periodic basis (see chart below), rotating between a long listing (full description, logo, all reviews, coupons and images) and a short listing (short description, logo, review count, and a ink your complete listing). A link to your listing automatically appears in your signature on all posts you make on the WaccoBB bulletin board website and digest. Full listing statistics showing when your listing was displayed in the directory in and the digest. 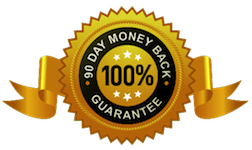 Money back guarantee: All new annual listings have a 90 Day Guarantee. There's no risk to try us out! Annual listings pricing is 40% off monthly subscriptions and FREE setup. Your listing can appear in up to 10 different categories (see chart). We are happy to add new categories as needed. You choose keywords to help users find your business. You can offer printable discount coupons which are included in the Daily Digest on your long listing. Directory listings can be linked to your website, Facebook, Twitter or Linkedin accounts. Standard and Premium listings can contain formatted text, links (including to your website), images and even video! And you can update all listings at any time! Premium Listings include membership to post an average of 1 post/month in the Events or Sales category on the bulletin board. 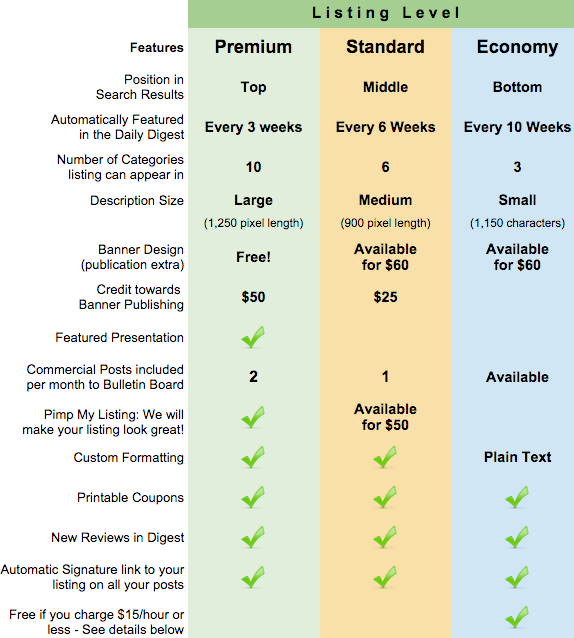 Other listing levels can get a commercial posting membership starting at just $6/month. Free Listings are offered to service providers who charge no more than $15 for any service. Click here for more info. click here for a Free Listing. (This does not include classes or any offering to a group. Copyright 2019 - AIT Enterprises - Connecting Conscious Community!